On September 25th 1957, under the gaze of 1,200 armed soldiers and a worldwide audience, Minnijean Brown Trickey faced down an angry mob and helped to desegregate Central High. This seminal event in American history was just the beginning of Minnijean's long career as a crusader for civil rights. She has spent her life fighting for the rights of minority groups and the dispossessed. 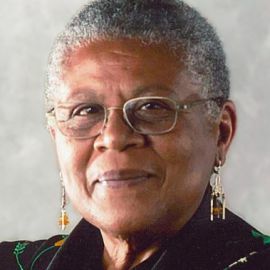 For her work, she has received the U.S. Congressional Medal, the Wolf Award, the Spingarn Medal, and many other citations and awards. Minnijean Brown Trickey's life has been a powerful example of what one person can do to make the world a better place. Under the Clinton administration, she served for a time as Deputy Assistant Secretary of the Department of the Interior responsible for diversity. Currently, she lives in Arkansas, and is continuing her work for civil rights and social equality. She is also working on her autobiography, tentatively entitled, Mixed Blessing: Living Black in North America. Civil Rights Icon Minnijean Brown Trickey: Heroes Then & Now!